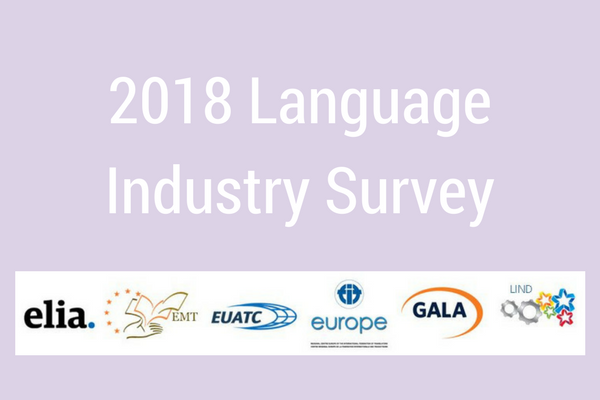 Elia, in collaboration with EUATC, EMT, GALA, FIT Europe and LINDweb, have launched the 6th annual European Language Industry survey. The aim of the survey is to gather views about trends, expectations and challenges to help explain or even predict current and future developments. The survey is open to independent language professionals, language service companies, in-house translation teams and institutions teaching translation to capture sentiment from across the language industry. The deadline to participate is midnight CET on Friday, 16 February 2018. Results will be shared by each participating organisation and will be presented at upcoming industry events including ND Focus – Elia’s networking days for Executives on 3-4 May 2018 in Catania, Sicily, Italy. The survey is 100% anonymous and no personal details are requested or stored. Who will be our Elia Engage video star?